Simple but strong, Motiv kit by Wismec just gives you the motivation to try more. The 2200mah battery and built-in atomizer tank of 2ml can satisfy your daily vaping. It adopts of DS NC coil and DS Dual coil of 0.25 suhohm coil and top airflow design, which definitely will give you intense vaping experience. It’s also featured with anti-leaking design, indicator light of battery capacity, and overall protection of over-charging, over-current and over-discharging. 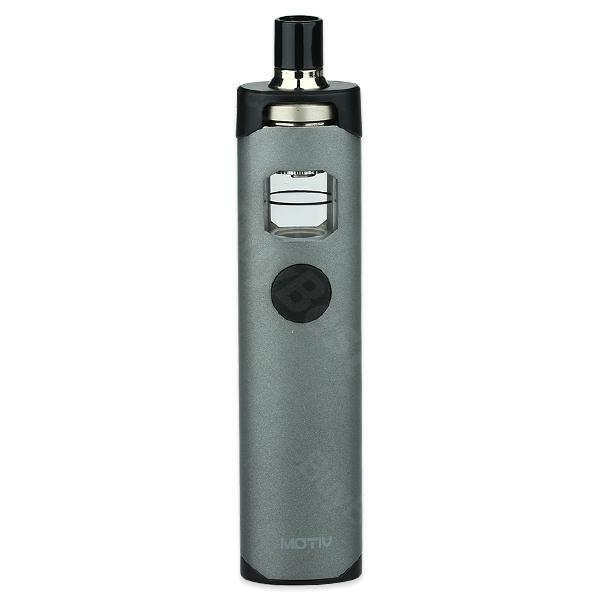 If you want a unique and super pen kit, Wismec Motiv will be a very good choice. E-liquid Filling: unplug the decorative cap and unscrew the top cap component, then you can inject the liquid directly into the cambered slot. After filling, screw the top cap again. 1.Unplug the decorative cap and unscrew the top cap component, the atomizer head is located on thetop cap component. 2.Unscrew the atomizer head fixing ring on the top cap component clockwise to detach the atomizer head. 3.Replacing a new atomizer head and aiming the two notches on the atomizer head at the corresponding on the top cap component, then screw the atomizer head fix ring counterclockwise to fix the atomizer head. Top Airflow Control: By rotating the airflow control ring at the top cap component clockwise or counterclockwise, you can adjust the airflow and get different vaping experiences. Turn off or Change indicator light: In power off condition, long press the fire button until the indicator light is on. Then press the fire button to shift among the color of blue, green, indigo, red, purple, yellow, white or light off. Very nice vaping gear, good battery life, and with serveral colors to choose from. Motiv starter kit works flawlessly.